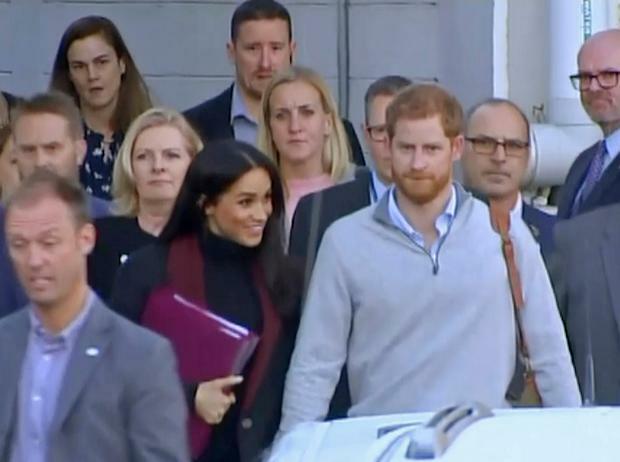 Though the Zika virus has been detected in Fiji and Tonga, pregnant Meghan Markle and Prince Harry will proceed with their plans to visit the countries on their current tour. Zika is mainly spread by mosquitoes, and it can be more serious for pregnant women, as there's evidence it causes birth defects – in particular, abnormally small heads (microcephaly). The royal couple reportedly sought medical advice about the virus ahead of their travels. Professor James G Logan, Head of the Department of Disease Control at the London School of Hygiene and Tropical Medicine, told People magazine: “The advice would be to wear a repellent which contains an active ingredient and wear that repellent all day and all evening. You have to put the repellent on like a hand cream. You have to really rub it in. If you squirt it on like a perfume, that won’t do anything because the mosquito will find a bit that’s not covered." Wearing long sleeves and baggy clothes will also help, Prof Logan explained. “Mosquitos can even bite through jeans so if the clothing is loose it’s much harder for the mosquito to bite. Wearing light-colored clothing can help as these mosquitos are often attracted to dark clothing. It also helps you spot them, if you see a dark mosquito on a light piece of clothing.